Today, I’m heading off to Devon for a week… hoping for continued sunshine and plenty of excuses for ice cream. 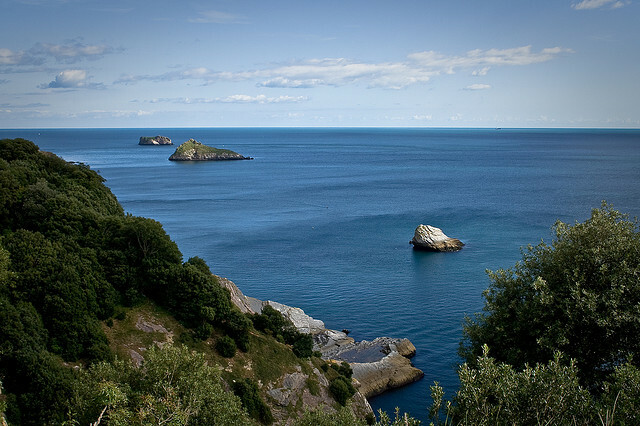 We’re going to the classic English riviera that is Torquay before a couple of nights on the Northern edge of the county near Barnstaple. I usually plan my holidays with military precision (before letting it all go awry by the end of the first day) but I haven’t had time to do anything in advance of this one. I have no idea where we’ll go or what we’ll do. To be honest, that makes the control freak in me feel a little bit… antsy. If you have any suggestions, I’m all ears! So far, all I plan on doing is pretending that I’m in a Famous Five book (I’m probably more Anne than George). I’m going to talk about “coves” a lot, eat many, many cream teas and hopefully take some photos to make me proud. If I remember my camera. I’m very excited, all recent holidays have involved more hectic breaks in London and whilst I’ll never get bored of exploring the city, it can get a little bit tiring with Leila in tow (for both of us). We’ll have the car this week, and I’m literally sitting here grinning with excitement at the thought of all the sea air, beautiful views and unexplored terrain! I bought a family English Heritage membership last month, hoping to be able to visit a bazillion castles but I’ve just found out that most of them don’t open until April 1st. Guess the joke’s on me! Whatever you’re doing this week, have a lovely one! I’ve got some brilliant guest bloggers coming on board to delight and entertain you and I’ve managed to schedule a couple of posts in myself aswell. I’ve just moved to Westward Ho! (that exclamation mark is really there) and it’s awesome if you like a quiet little seaside town. It’s not far from Barnstaple and there’s a nice restaurant there called The Pier House if you fancy lunch/dinner. The last couple of days have been gorgeous so I hope it stays like this for you! Thanks Clare! I saw your instagram pic from Dover castle – it looked super impressive! My Boyfriend’s parents live in a tiny village just outside Barnstaple and we go there every June. I’d reccomend Ilfracombe/ Woolacombe. Morthoe (think thats spelt right) especially if you follow the path and climb down the rocks to a really secluded beach. If you’ve got a whole day you could go to lundy which is a beautiful ferryride then an uninhabited Island. Of try the alpaca farm although thats heading down towards cornwall. Saunton Sands/ Braunton are also nice. I hope the weather stays fine for you! Thank you do much Maddy! We’ll check those out for sure, can’t wait to get stuck in! oh I forgot. I’m proably too late now buy if by any chance you get this go to the bee museum in south molton. It shows you how to make honey and you get to taste some too! Yay! I live in Torquay; we’ve had amaaaazing weather this week. The one place you *have* to visit is Roly’s fudge shop on the harbourside. The best fudge in Devon, made fresh onsite and the couple who own the shop are sweeties. Cockington is an awesome place to bumble around with a camera, it’s a little village between Torquay and Paignton. You might even be able to get a ride from Torquay seafront in a horse and carriage if it’s not too early in the year. Top place for a picnic. And yes, I still snigger at the name. There are some great rockpools off Corbyn Head too (opposite the Livermead Hotel), if it’s warm you might be able to catch some crabs, or at least a gorgeous sunset. Really appreciate you taking the time, it’s a privilege to get some insider info like this! Clotted Cream and Butterscotch fudge. GOD. Can’t decide between Cockington and Babbacombe for tomorrow. I will definitely check them out – some towns seem to hide proper gems when it comes to charity shop shopping! 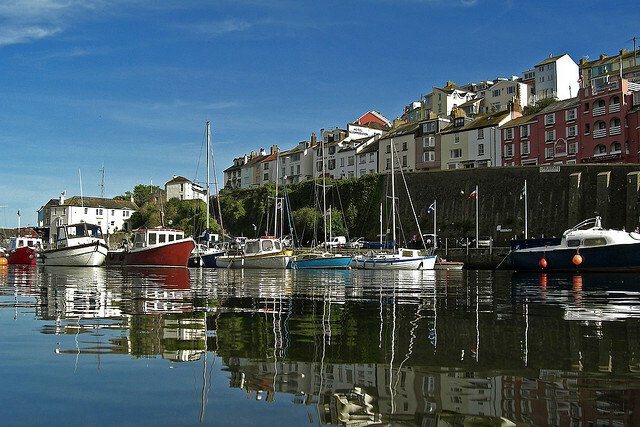 North Devon is the most wonderful place – have a lovely holiday!! Thank you so much, we will definitely do that! Expect some familliar photos when we get home! Looks beautiful! *Stamps feet* I want to go now! !